It was a bright and sunny Sunday morning in the end May! It was a pleasure to walk and brave the cold winds from the North Sea. The jackets provided little comfort from the strong wind. It was just a short walk to Madurodam, from the hotel where we had checked in the previous evening! Madurodam , is a miniature city located in Scheveningen, at The Hague, in Netherlands. It is touted as the smallest city in The Netherlands and constructed in 1: 25 ratio of the whole country. It has windmills, the canals, even steamers as they ply in Rotterdam port, miniature Amsterdam with quiet flowing Amstel River, the parks and even miniature Schipol Airport with moving airplanes! The miniature city was opened in May 1952 as an amusement park in The Hague. The park was constructed by Mrs and Mr Maduro in the memory of their lone son who died in a prison camp at Dachu in 1945 during the Second World War. He was decorated for his gallantry and all money received, was donated by the parents in constructing a memorial. With the help of Mayor of The Hague, this small township came into a reality. It has not changed much in the character and draws huge crowds especially on holidays. It is a fully functional mini city with power plants, generators and landscapes of The Netherlands. One can see the tulip gardens, and well manicured greens as they exist in the city of depiction. As a child, there is hardly an exception of not having indulged in building the sand castles by the beach or mud and stone houses at home! 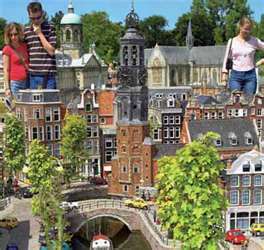 Madurodam, is one such fantasy world which unfolds like reliving a childhood. It is like going through the history and geography of the country in one go with the real ‘live’ working models. It is one of the most amazing experiences to see this unique mini city! A country which is otherwise known for its tulips, cheese, the blue pottery of Delft, and the red light areas of Dam Street in Amsterdam, it is such a different retreat to experience! We've visited here in 2004. Amazing place NL and Madurodam was especially very nice. Enjoyed reading about your trip! I have never seen this place but I love miniatures! Sounds fantastic - would love to see it! I have seen this in pictures. Have always been fascinated by it! They did a show on this place on TLC! It sounds mesmerizing .. wish to visit it sometime! Thanks for the trip Rahul - I feel like going and settling down there! Hi Rahul..this place sounds wonderful. I have always wanted to visit Netherlands. Have a great weekend. I wish I can explore places like you do...Amazing read, my Alice in Wonderland dreams are back from childhood! What a great place. I`v been in NL several times, but never here. I will visit it next time. @Rachna- Thanks for your nice remarks! @Francesca R- Welcome to my blog and thanks for liking! @ Martina-Welcome to my blog and thanks for following! 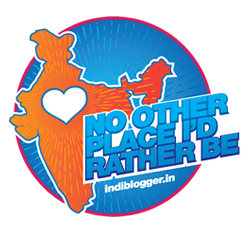 It is a lovely place.. and you will certainly like it..
@ Meera- Yes it is! Thanks for your kind remarks..
@ Crystal- I missed seeing the program on TLC!Hope you are able to visit soon..
@ Kalaiselvi- Thanks for your nice comment..
@ Sulagna- Welcome to my blog! Am very happy you liked it. Life as a traveler is very interesting! @ Vikram- Thanks for liking! @ Rachna Chabbaria- NL is an amazing country and hope you are able to see it soon! Have a very enjoyable weekend! @ Sub- Thanks for your gracious remarks..
@ Rachit-Welcome to my blog! Hope you liked it... Best wishes..
@Spiderdama- Hope you can see this lovely place soon! Thanks..
i so admire you because you've visited such wonderful places and known the different history of those places, you really are such an explorer and an intelligent person... love love love you... kissess!!! @Giribala- Am humbled by your kind words! Also a sincere thanks for following..
@ Sujata Sathya- Thanks for your lovely remarks... Also, it has served the purpose of letting readers know of some great places..
@ Dina Vanessa Mercado- Am very thankful to you for such magnanimity and appreciation! @ Reicha- Thanks a ton, for your nice thoughts about this post.. I had heard of this but never had the chance to see it- maybe next time when I pass through the Netherlands I will make a point of seeing it. @ Anjuli- You will certainly enjoy this place! It is just an out of the world experience..